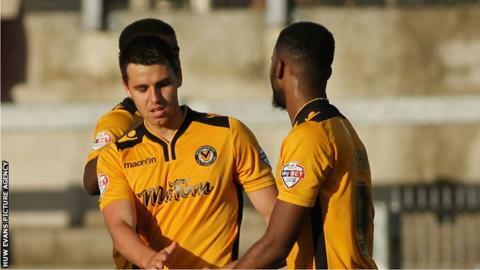 Newport County have extended the loan deals of Cardiff City duo Jazzi Barnum-Bobb and Tommy O'Sullivan. The players initially joined for a month in October, but will now stay until the home game with Hartlepool on January 2. Both players will be eligible to play in the FA Cup Tie at Brackley Town on Sunday, 8 November. "I am happy here, I'm playing games on a regular basis and enjoying it," said O'Sullivan.